Are you passionate about sustainable living, and giving back to Indigenous communities globally? Do you want to be a part of a likeminded community who creates change? Are you passionate about helping Indigenous communities become more sustainable? Join your fellow Eco Warriors and become a part of the Kakadu family. We will help you ensure that the only footprint you leave behind is a sustainable one. Not only will you have the opportunity to build your very own micro business, you will have the backup of a well-established brand as well as having the mentorship from Kylie-lee and the Kakadu team! When you become an Eco Seller we do all the ground work for you! You will not only be able to make an amazing income from selling organic Indigenous products but you will be able to learn to grow and market your own business within the hours that work for you! Easy online platform so you can take your business anywhere in the world! 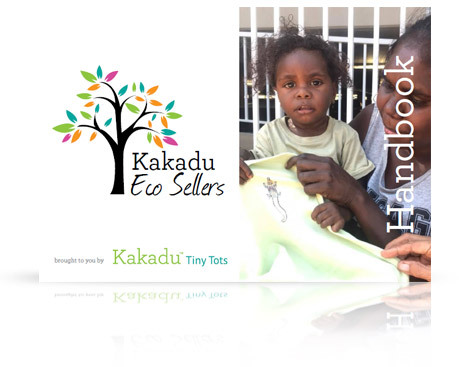 Contact the Kakadu Team if you are interested in becoming an eco seller and join our community today! Enter your email below and we will send you our Eco Seller handbook with all the information about becoming part of our Eco Seller Team.